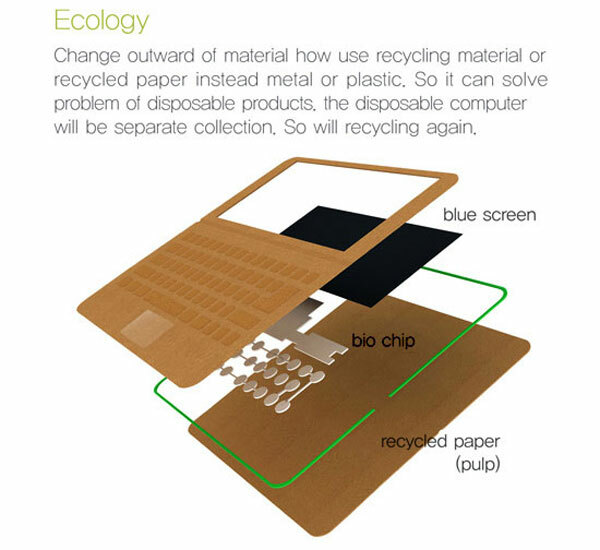 We’ve featured a few environmentally friendly cardboard PC cases here on Geeky Gadgets but this paper laptop defiantly could have a future with the price of components dropping and OLED screens in the near future. Who would have thought 10 years ago that we would now have disposable phones. This innovative design by Je Sung Park is made from pulp and reprocessed materials. Using paper as the case also allows for endless customization options, however there is still the electronics and screen to dispose of which can contain harmful chemicals. Which hasn’t really been covered in the designers explanation. Let hope maybe in the future even the electronics will be made from easily recycled materials.